CBE-5521 : Battery Eliminator for Motorola Radius P200, P210, MT1000, HT600, etc. Home > Battery Eliminators > CBE-5521 : Battery Eliminator for Motorola Radius P200, P210. Also fits MT1000, HT600, HT800 radios. CBE-5521 : Battery Eliminator for Motorola Radius P200, P210. Also fits MT1000, HT600, HT800 radios. The CBE-5521 is a Battery Eliminator for Motorola Radius P200, P210 radios. Black color. Also fits MT1000, HT600, HT800 etc. 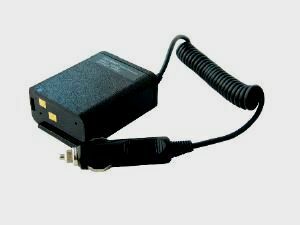 Enables the radios to be used from a 12-13.8VDC power source (cigarette lighter plug, portable 12V power kit, etc). Has built-in protective Noise filter circuitry. Provides Hi-Watt TX capability.